Swimming is often a sport for all ages. It helps young people to tone their muscles and grow healthy and strong. For the elderly, there's no greater option to exercise than finding a Asturias Pool to escape from every day routine. Most of the Asturias Pools offer both open lanes for independent swimming and also guided activities like water aerobics or Aquabike. 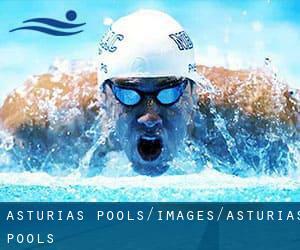 Do you know of any Pools in Asturias that needs to be listed here? Contact us!. Swimia.com desires your feedback on Aquagym in Asturias to ensure all of the data about swimming in Asturias is valid. Not all countries are the identical, and swimming rules and regulations are changing from one country to the other. So, if this can be your initial time looking for Asturias Pools, make sure to call the premises before you drop by. For Asturias and its vicinity, we're showing you all the registered pools, some of them have no GPS coordinates and can't be found on the map at the map. There are a few reasons why you ought to choose a heated swimming pool in Asturias. The most important one relies on the importance of keeping the body temperature stable. When the water is too cold, your body will try to warm it up and you will shed strength to swim correctly. One of the advantages of outdoor swimming in Asturias could be the possibility to sunbathe for the duration of the summer time season. Taking it with extra care, sunbathing is healthful because introduces Vitamin D into the body, so the very best selection seems to be switching among indoor and outdoor pools depending on the season. If you're tired of having eyes and irritated skin, choosing a saltwater pool in Asturias can be the remedy. You should understand that the level of salt from these pools is well below the level of salt from sea water, particularly they are talking about a tenth or much less. There are many alternative treatments to chlorination, with amazing benefits that make sure better water top quality in the pool. One possibility may be the mineralizer, which purifies water naturally and significantly decreases the chemicals implemented and maintenance time. Try Chlorine Free pools in Asturias. Enjoy the best indoor pools in Asturias and don't worry about the weather. These facilities are open all seasons and you can enjoy a swim at the same temperature every day of the year. It's difficult to visit Asturias with out dropping by Oviedo (with 224.005 residents). Currently Swimia is showing you all of the Pool in Oviedo along with the closest pools located in its vicinity. Swimming is really a wonderful idea to help keep your body active throughout your visit to Avilés (Asturias), or even in case you are a local. Swimia helps you to find your closest Pool in Avilés. Let us tell you a secret to switch off while you are in Gijón: just choose a Pool in Gijón and plunge into the water! There's no more successful method. Whereas Mieres is one of the six most populous cities in Asturias with nearly 44.070 residents, you shouldn't miss that one if you're going to Asturias. Without a shadow of a doubt, swimming in Langreo will be the best option to unwind after work. Take a couple of minutes to browse Swimia's catalog to find a Swimming Pool in Langreo. Holding an estimated population of 51.181, Pola de Siero is among the most important cities in Asturias. Check all of the Swimming Pool in Pola de Siero and its surrounding area. Updated on 2019 Calle Jovellanos, Junto a Guarcia Civil , La Felguera , Langreo , Spain (Postal Code: 33930). Swimmers like you reported 25 meters x 17 meters, 8 lanes, Indoors. Unfortunately we do not have the email address of this Swimming Pool, but we can give you the phone number. Updated on 2019 Avenida de El Llano, 69 , Gijon , Spain (Postal Code: 33209). Swimmers like you reported 25 meters x 16 meters, Indoors. Unfortunately we do not have the email address of this Swimming Pool, but we can provide you with the phone number. Updated on 2019 Avenida Jesús Revuelta s/n , Gijon , Spain (Postal Code: 33203). Few days ago a normal user of this center told us they offer Olympic size, 8 lanes, Indoors. Furthermore, they keep in good conditions 25 meters, 6 lanes, Indoors. Contact info for this Swimming Pool just like phone number and e-mail address are number. Updated on 2019 Avenida Juan Carlos I , Gijon , Spain (Postal Code: 33212). Swimmers like you reported 25 meters x 12 meters, 6 lanes, Indoors. Unfortunately we do not have the email address of this Pool, but we can give you the phone number. Updated on 2019 Plaza de Concha Heres 6 33010, Oviedo (Asturias). Swimmers like you reported 25 meters x 10 meters, Indoors. Phone number and e-mail address are number for this Pool. Updated on 2019 La Corredoria s/n , Oviedo , Spain (Postal Code: 33011). This sports center provides 25 meters x 12.5 meters, 6 lanes, Indoors. For this Swimming Pool, only phone number is number here. Updated on 2019 Avenida de Julián Clavería , Oviedo , Spain (Postal Code: 33006). Swimmers like you reported 25 meters x 12.5 meters, 6 lanes, 1.3 meters - 1.8 meters depth, 1.3 meters - 1.8 meters depth, Indoors. Phone number and email address are number for this Pool. Updated on 2019 Calle Camino del Lucero , Gijon , Spain (Postal Code: 33212). Few days ago a common user of this center told us they offer Olympic size, 8 lanes, Indoors. Furthermore, they keep in good conditions 25 meters x 12.5 meters, 6 lanes, Indoors. Contact information for this Swimming Pool just like phone number and email address are number. Updated on 2019 José María Martínez Cachero, s/n , Oviedo , Spain (Postal Code: 33013). Few days ago a regular user of this center told us they offer Olympic size x 21 meters, 7 lanes, 1.8 meters - 2.5 meters depth, 1.8 meters - 2.5 meters depth, Indoors. Furthermore, they keep in good conditions 20 meters x 10 meters, Indoors. For this Swimming Pool, only phone number is number here. Updated on 2019 Carretera de Arenas , Santianes de Terrón , Arriondas , Parres , Spain (Postal Code: 33540). This sports center provides 25 meters x 12.5 meters, 6 lanes, 1.2 meters - 1.8 meters depth, 1.2 meters - 1.8 meters depth, Indoors. For this Swimming Pool, only phone number is number here. Oviedo. Swimmers like you reported 25 meters x 12.5 meters, 6 lanes, Indoors. Phone number and email address are number for this Pool. Updated on 2019 Avenida Luxemburgo , Oviedo , Spain (Postal Code: 33011). Among all the activities offered by the center, should you be interested in swimming you will take pleasure in 25 meters x 16 meters, 1.4 meters - 1.7 meters depth, 1.4 meters - 1.7 meters depth, Indoors. Just in case you need to contact this Pool before dropping by, we only know the phone number. Updated on 2019 C/ Sabino Álvarez Gendín 14 , Aviles , Spain (Postal Code: 33402). Among all of the activities offered by the center, for anybody who is interested in swimming you will delight in 25 meters x 16.67 meters, 8 lanes, Indoors. Just in case you would like to contact this Swimming Pool prior to dropping by, we only know the phone number. Updated on 2019 Calle Ramón Areces, 7 , Gijon , Spain (Postal Code: 33211). Swimmers like you reported 25 meters x 12.5 meters, Indoors. Unfortunately we do not have the email address of this Pool, but we can give you the phone number. Updated on 2019 Paseo Marítimo Marq Santulla, 33130 Muros de Nalón, Asturias, España. This sports center delivers Olympic size, Outdoors, Salt Water, Non-Chlorine Sanitized. Contact knowledge for this Swimming Pool similar to phone number and email address are number.